Aqua Aura quartz is a beautiful shade of blue created when clear quartz and gold are bonded together. Live inside a crystalline dream with these leggings. Pair with our Blue Dream top for a dreamy, celestial look or add a white faux fur jacket for chillier weather. The most comfortable leggings I own! 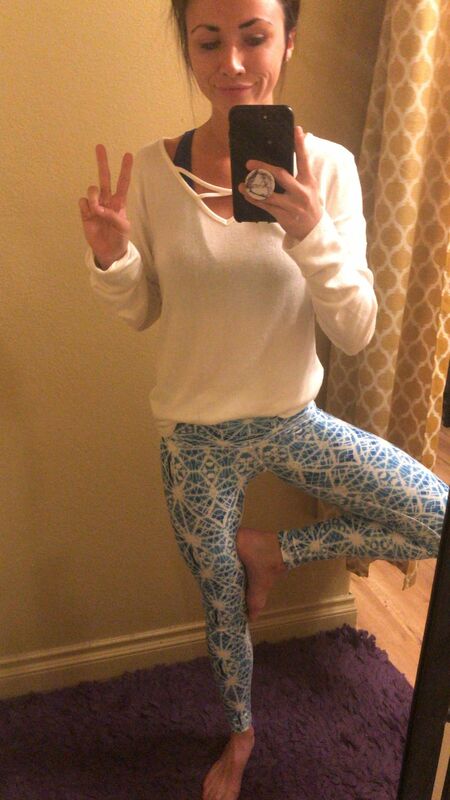 Although these leggings are expensive (for me) they are totally worth every penny!!! I bought two pairs on Black Friday so I got a really good deal! They are super super soft and I absolutely love the designs! I love that they come from a small business! I will definitely be buying more products! Thank you so much! Purchased these at Wolven’s pop up at wanderlust and I have loved them with all of my heart ever since. So soft, love the sustainability, and I always get conpliments when I wear them! Bailey F. Reviewed by Bailey F.
I love this pattern! Originally, I had ordered the wrong size and customer service was incredible with their response times and immediately sent me the correct size! Sustainable. kind, and cute!